It’s no secret that a bright room feels instantly more inviting and spacious than a dark one. But in the case that a dark room can’t be helped because of architecture or light blockage from outside, what can you do? 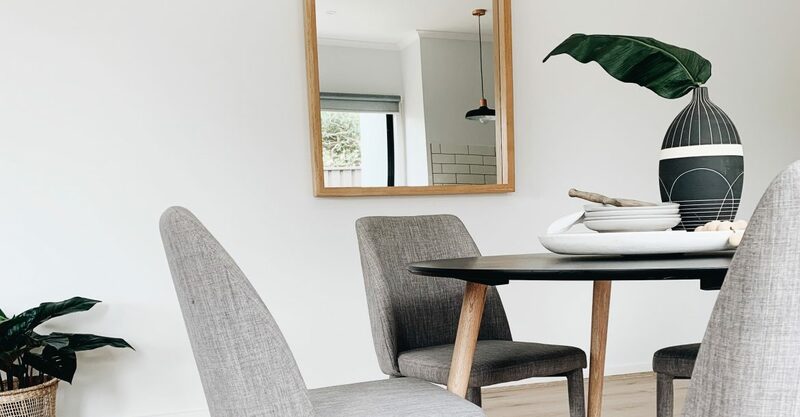 As property stylists, we have a few bright ideas to get the gloom out of that room. It may go without saying, but a lighter coat of paint certainly helps to let the sunshine in. While they look opulent, rich-hued walls can often bring things closer together, making the area seem cramped and moody. 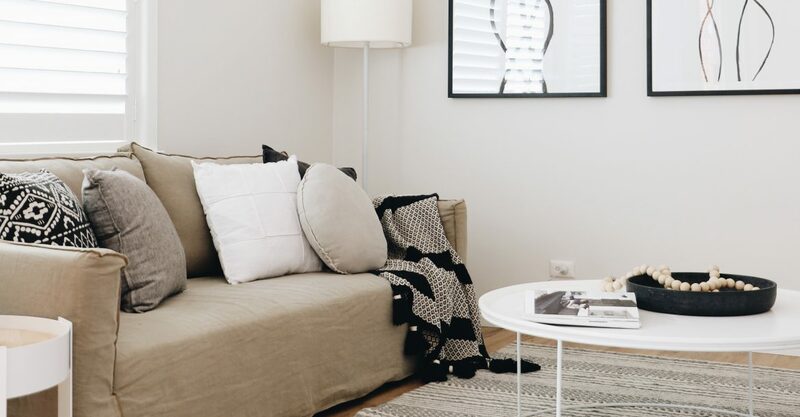 We love clean white or cream walls – and as a bonus, they’ll help keep the house cool during the summer. A carefully placed mirror is the oldest trick in the stylist’s book. Not only are mirrors a practical way of adding sparkle to a dark room, they also reflect light! Mirrors even help to create the illusion of more space. Hey, there’s a reason why we’re obsessed. When you think of sun-soaked places, the beach is probably one of the first to come to mind. We’re not saying you should hang up shell curtains – more like a casual nod to the coast. Think sand and seaspray palettes, raw edges and natural wood furniture. The granny curtains have to go! Even if you can draw back those huge swathes of fabric during the day, they can still have quite the oppressive look. We love a sheer curtain gently fluttering in the breeze, but if privacy is important you can’t go wrong with adjustable wooden blinds. We always try the eco-friendly option first, but it might just be that your current lighting fixtures aren’t cutting it. Look for lightbulbs which are luminous yet energy-efficient, such as halogen incandescents, compact fluorescent lamps (CFLs), and light emitting diodes (LEDs). Also, have a play with lighting positions – you may find that a lamp better lights a room from the corner than bang in the middle. 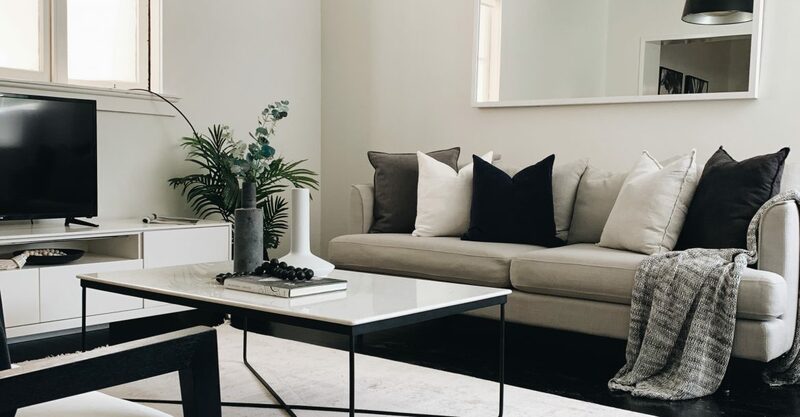 If you’re looking to sell your house, a dark room might seem like a pretty big hindrance (especially if you can’t get rid of that big building or neighbour’s tree blocking your lovely natural light!). It’s a problem we’ve come up against many a time before at BOWERBIRD – and we’re happy to say we’ve always found a solution for. As property stylists, our goal is to make your home shine in all the right places. We have the 95% return on investment success rate to prove it! Interested in selling big and selling quick? Drop us a line below and we’ll be happy to have a chat.